Sorry... the 2016 BMW 550 Gran Turismo is no longer being sold as new. 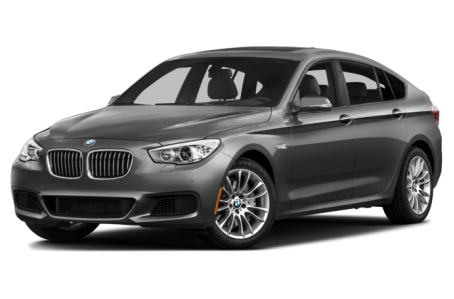 The 2016 BMW 550 Gran Turismo keeps the traditional performance and luxury expected of a 5-Series with the added benefit of more cargo and passenger space thanks to its hatchback shape. There are four GT models in BMW’s lineup (328, 335, 535, and 550 respectively) and they all opt for the same design aesthetic: grab the rear glass, pull it back so there’s a hatch instead of a trunk, and voila – Gran Turismo. GT models are also six inches longer, which adds legroom for interior occupants. Out back, the hatchback is two pieces, a liftgate that covers the whole rear opening and a section below the rear glass that opens up to show a secondary cargo space. The 550 GT got updated styling last year, adding xenon HID headlights to the standard features list. For 2015, LED fog lights are now standard, joining triple-row LED taillights, and Adaptive Brake Lights, which illuminate more of the lamp as braking force increases. BMW has been among a small number of automakers to continue production of an inline-six cylinder engine, a design known for its smooth power delivery. The 550 GT features a 445-hp, twin-turbo 4.4-liter V-8 that makes a robust 480 pounds-feet of torque. Rear-wheel drive and an eight-speed automatic transmission are standard, with all-wheel drive also available. Inside you’ll find seating for four or five passengers, depending on rear seat configuration. Standard features include BMW’s iDrive system with navigation and a 10.2-inch HD screen, dual-zone automatic climate control, power tilt/telescoping steering wheel, and 10-way power front seats. The available head-up display shows speed and other pertinent information; with navigation, it adds directions to the mix. A 40/20/40-split rear seat offers extra cargo flexibility. Standard safety features include stability and traction control, antilock brakes with emergency braking assist, seat belt load limiters, and six airbags. Options include active cruise control with collision warning, blind-spot detection, lane departure warning, and night vision with pedestrian detection.